All used Allen organs for sale are fully functional and thoroughly inspected by our factory-certified technicians. Used Allen organs sold within our territory (most of Texas and ALL of Oklahoma) will have a limited parts warranty, unless otherwise noted. Delivery outside of Texas and Oklahoma can be arranged with nationwide piano and organ movers. Sales outside of Texas and Oklahoma are strictly sold “as-is”. Designed by Larry Phelps. Organ has been under our care since new and is in great condition. 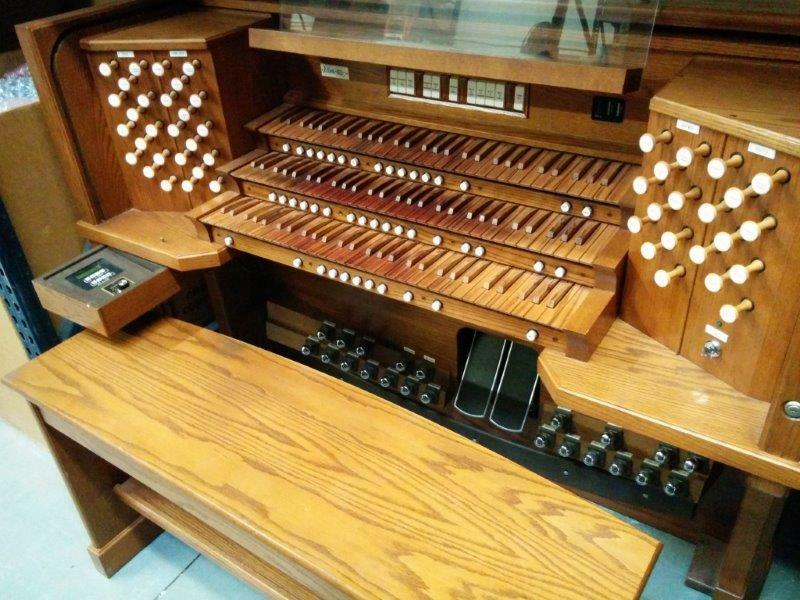 The organ is equipped with an external amplifier/tone-generator rack. It has 17 channels of amplification and can have up to 34 speakers installed with it. It has basic MIDI and custom Laukhuff keys.